CURSILLO, pronounced kur-see-yo, means “short course.” It began when a group dedicated themselves to bring people of their city to know Christ. It is the story of how God taught them to work for Him in an effective way that bears fruit. The first three-day Cursillo was held in the monastery of St. Honorato on the island of Majorca, Spain on January 7, 1949. Cursillo came to this country through two young Spanish airmen who were training with the U.S. Air Force in Waco, Texas. Through the witness shown by these Cursillistas, the local Roman Catholic priest was persuaded to make his Cursillo in Spain. Upon his return in 1957, the Cursillo movement began in the Roman Catholic Church in the United States. Until 1969, all of the weekends were held in Spanish. In that year, the first English-speaking weekend was held in San Angelo, Texas. Today Cursillo is an international movement touching all of the Americas, Europe, Japan, several countries in Africa, Australia, and other lands. A couple who lived in Jackson, Mississippi, attended Mississippi Methodist Cursillo #7 in December 1983. They moved to Louisiana shortly thereafter and immediately started exploring the possibility of United Methodist Cursillo in Louisiana. The Cursillo Community in Mississippi had agreed to pray for that possibility and to provide broad support in whatever way was needed. After much prayer, hard work, support with leadership and finances from Mississippi Methodist Cursillo and the blessings of the Bishop of the Louisiana Conference, Louisiana United Methodist Cursillo #1 was held at Chatawa, MS, in August 1985. The Mississippi Methodists continued to provide the bulk of the financial and leadership support for many months thereafter. Though Bishop Underwood had endorsed the Cursillo movement, he encouraged the leadership to secure a Louisiana location as soon as possible. When the staff at St. Mary’s informed Louisiana Cursillo that, due to renovations, their facility would not be available for Cursillo weekends in 1988, Louisiana took that opportunity to relocate within the state. 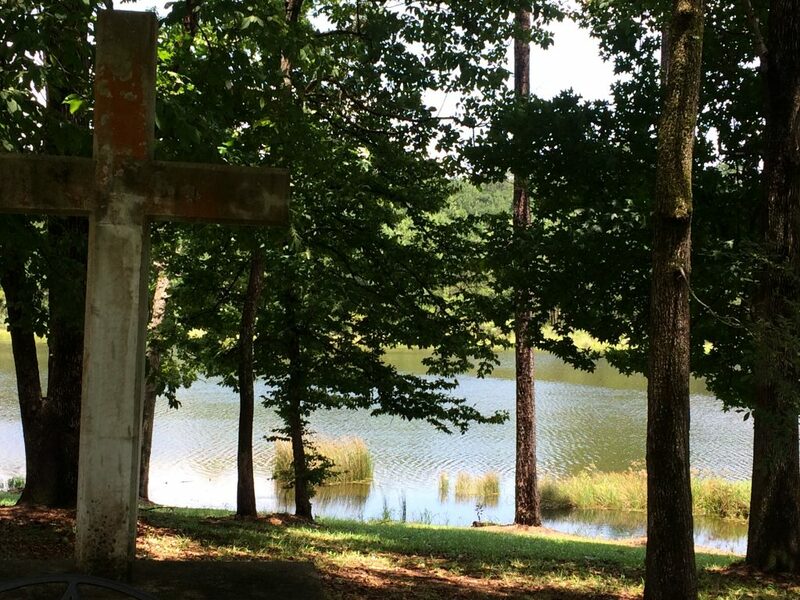 After an intense search, the relocation committee recommended Tall Timbers Baptist Conference Center where Louisiana United Methodist Cursillo #9 – the first in Louisiana – was held in December 1987. The securing of a Louisiana location caused the movement to grow and to spread to more areas of the state. Soon a long waiting list of pilgrims had developed. Shortly after the Wesley Center opened, the first Cursillo – #56—was held there in January 1997. It has been held there ever since. Under the guidance of the Holy Spirit, the Louisiana United Methodist Cursillo movement continues to enable participants to grow in God’s grace and to return to homes, churches, and communities to share Christ’s love as the Body of Christ.